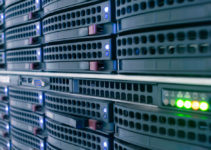 Virtual Private Networks are a must-have tool for Windows Server operators. A VPN allows network operators to ensure maximum security and privacy for their systems. 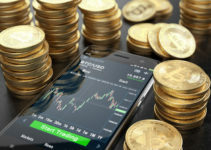 Setting up the VPN will be a two-stage process… In stage 1, we will set up a remote access point (or a remote access role) that can access this network from outside. Click on the option Add Roles and Features Wizard. 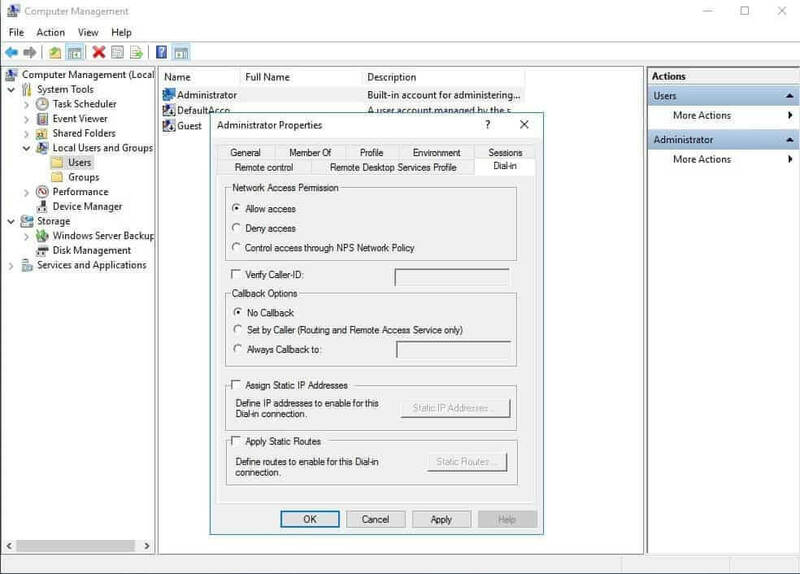 Check the Remote Access check box. 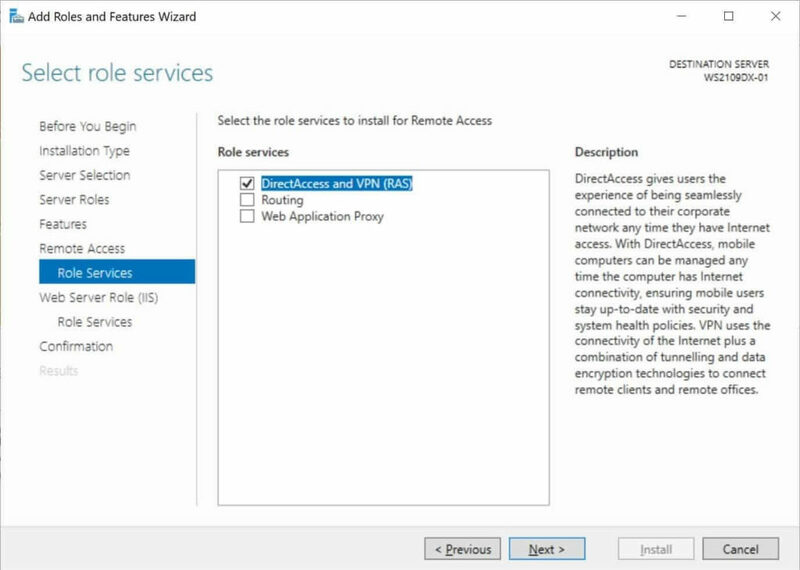 On the step of Role Services, check the Direct Access and VPN (RAS) check box. On the last step Confirmation, press the Install button. This will install the Remote Access Role and will reboot the system as well. That’s it, stage 1 is complete. Once rebooted, we move on to the next and final stage of the installation. Setting up the VPN requires us first to install the VPN and then configure it. 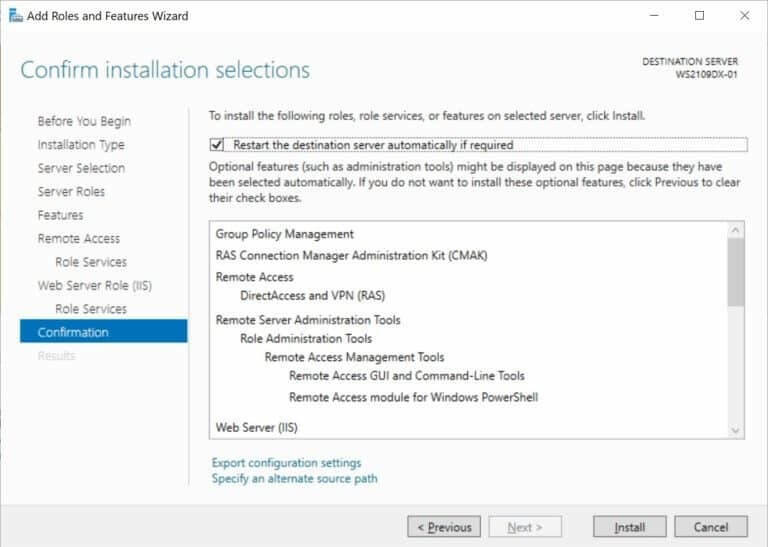 Windows Server 2019 has a dedicated wizard for the job. Now, after installing Remote Access Role, we can begin with the VPN installation. 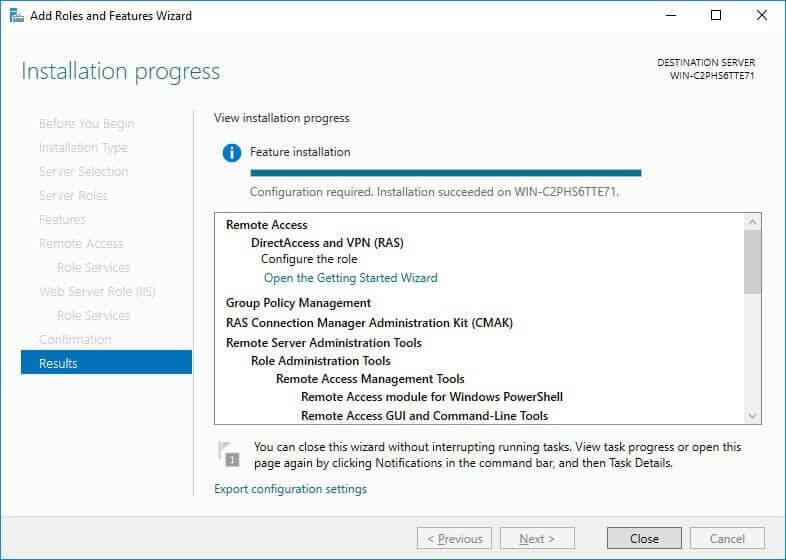 After the installation of the Remote Access Role is finished (it may take some time), the link for opening the “Getting Started Wizard” will appear. Click on Open Getting Started Wizard. 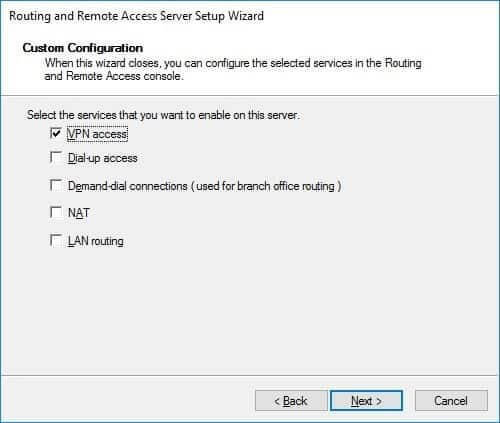 This opens up another wizard (Getting Started Wizard for VPN). 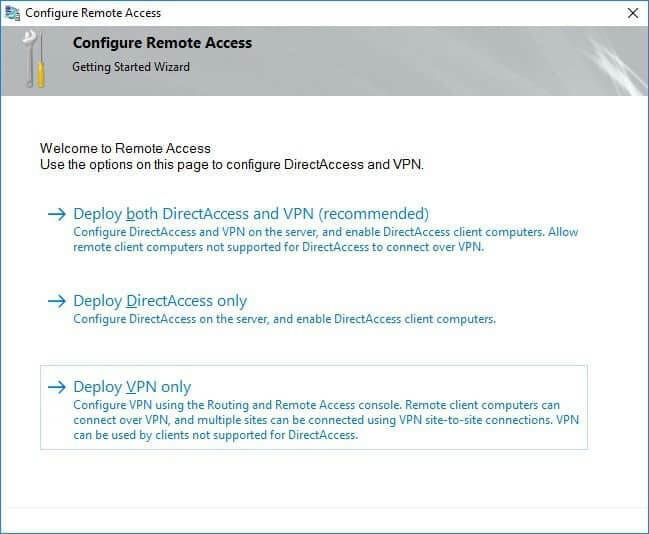 Here select the option Deploy VPN Only on the first window. 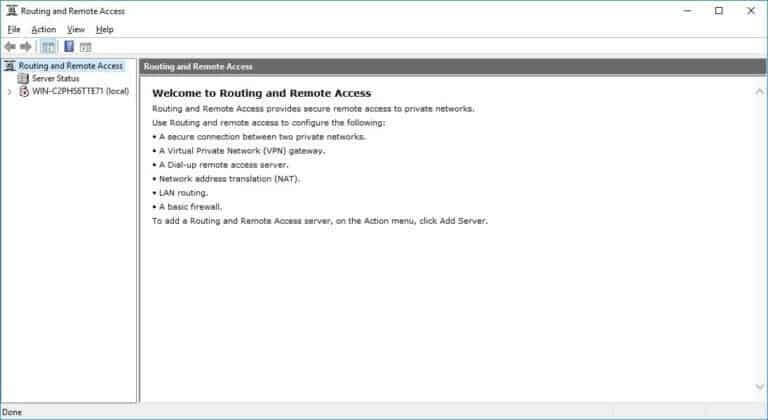 This will take you to Routing and Remote Access Management Console. 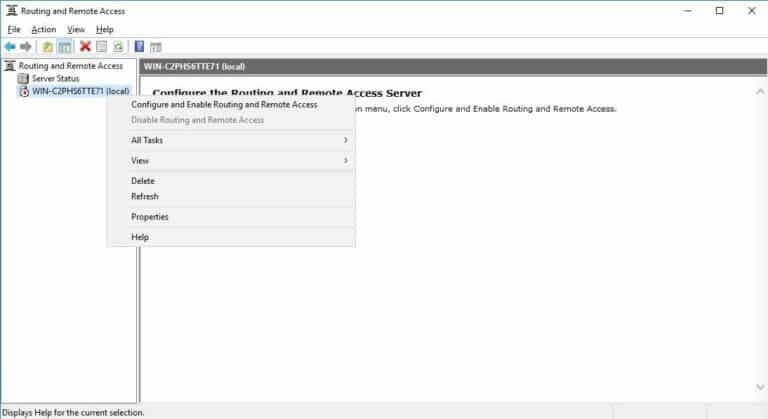 Select the name of the server, given on the left side of the panel on the Routing and Remote Access Management Console by using right-click, and then click on Configure and Enable Routing and Remote Access. 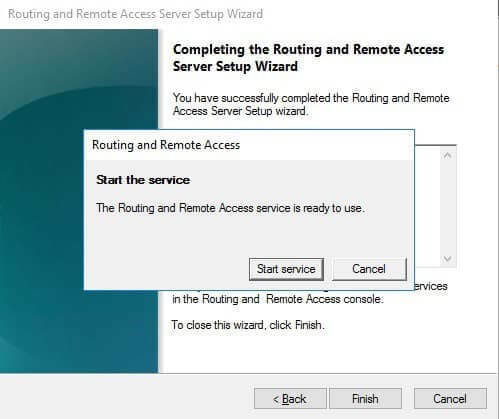 This will open up a new wizard: Routing and Remote Access Server Setup Wizard. Here on the next step, select VPN Access. On the next step, clicking Finish will show a dialog box asking you to start the service. Click on Start service. This finishes up the installation process and we are now ready for the configuration part. Now that we are done with installing the VPN, we can now open the firewall and direct the ports towards our Windows Server so that traffic generated by this server can pass through the firewall and is not blocked. You can also picture this as connecting a VPN user to your newly created private network. For this, first you need to set up the following ports depending upon which protocol is being used. 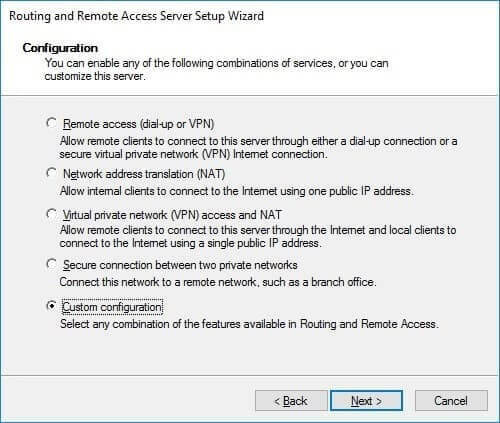 Once the installation is done, you need to check whether the users you want connecting with the VPN have Remote Access enabled. Active Directory user’s User Properties in a domain environment. Check to see if there is a DHCP server available. If not, then you need to configure a static IP address pool. Go to the properties of the newly installed VPN server. Select the static address pool radio button. Press Add. 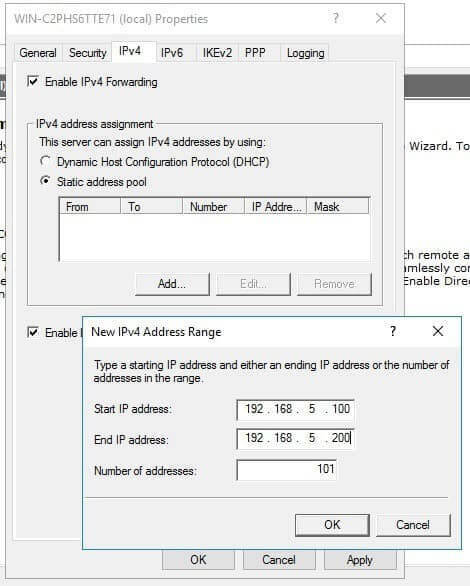 In the new window of IPv4 Address Range, add an IP address. Make sure that the static address pool and the subnet the IP address belongs to are the same. 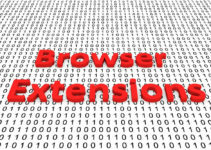 This will enable the users to reach the server without being shut out. Click OK, then Apply and you are done with the configuration. And there you have it! 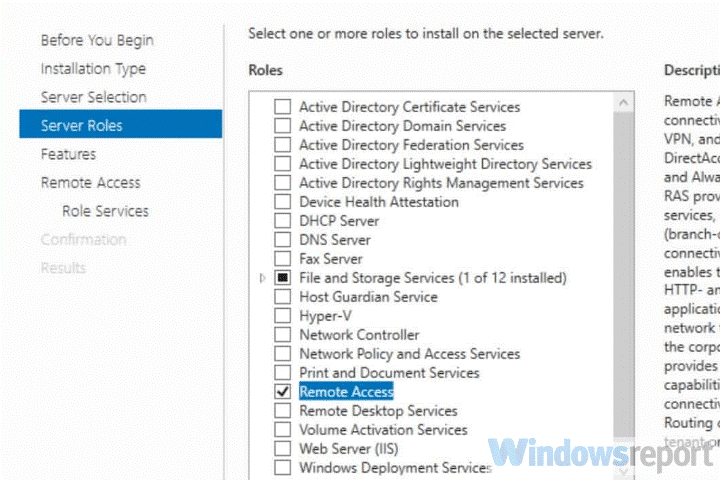 You can now operate Windows Server 2019 with a VPN.